The Sac and Fox Nation (Mesquakie language: Thakiwaki or Sa ki wa ki) is the largest of three federally recognized tribes of Sauk and Meskwaki (Fox) Native American peoples. Originally from the Lake Huron and Lake Michigan area, they were forcibly relocated to Oklahoma in the 1870s and are predominantly Sauk. The two other Sac and Fox tribes are the Sac and Fox Tribe of the Mississippi in Iowa and the Sac and Fox Nation of Missouri in Kansas and Nebraska. The Sac and Fox tribes have historically been closely allied, and continue to be in the present day. They speak very similar Algonquian languages, which are sometimes considered to be two dialects of the same language, rather than separate languages. Thakiwaki and Sa ki wa ki mean “people coming forth from the water”. The Sac and Fox Nation is headquartered in Stroud, Oklahoma, and their tribal jurisdictional area covers Lincoln, Payne, and Pottawatomie Counties. Their Principal Chief is Kay Rhoads. Five elected officials, each elected for a four-year term, govern the tribe. Elections are held in odd-numbered years in August. Of the 3,794 enrolled tribal members, 2,557 live in Oklahoma. Membership to the tribe requires a minimum 1/8 blood quantum. The tribe’s housing authority is located in Shawnee, Oklahoma. They issue their own tribal vehicle tags and operate eleven smoke shops and two casinos, the Sac and Fox Nation Casino Shawnee and the Sac and Fox Nation Casino Stroud. The Stroud casino features the Center Sky Stage, a live entertainment venue. The Sac or Thakiwaki lived near Lake Huron and Lake Michigan at the time of European contact. In 1832 they participated in the Black Hawk War against the United States. Military leader Black Hawk remains a cultural hero today, as does the Sac diplomat Keokuk. After the war, the tribe relocated several times from Illinois to Iowa, Kansas, and finally Indian Territory in the 1870s. Their current lands were part of the larger, historical Sac and Fox Reservation of 1867-1891, which was 480,000 acres (1,900 km2). These tribal land holdings were broken into individual allotments under the Dawes Act, which was to encourage the Indians to assimilate to European-American cultural ways, with a June 12, 1890 agreement with the Cherokee Commission. Under the Curtis Act of 1893, the tribal government and its institutions were dismantled. The tribe was previously known as the Sac and Fox Tribe of Indians of the Mississippi River. In 1937, they organized as a federally recognized tribe under the Oklahoma Indian Welfare Act of 1934. They allowed tribal membership to everyone listed on the tribal Dawes Rolls and their descendants, as long as individuals had a minimum blood quantum of one-eighth Sac and Fox blood (equivalent to one great-grandparent). On May 16, 1989 a tribal representative group that included Elmer Manatowa, Principal Chief, Truman Carter, Treasurer, William Rice, Attorney General, James L. Welsh III, Director of Real Estate and Curtis Cunard, Petroleum Consultant, testified before the One Hundred First Congress, Special Committee on Investigations of the Select Committee on Indian Affairs, United State Senate. The testimony examined the federal government’s management of water and natural resources of the Sac and Fox Nation, the extensive surface damages and permanent contamination of the tribal drinking water destroyed by waterflooding techniques and the injection well process used by the oil companies. Testimony from the group also revealed the lack of federal oversight and trust management responsibilities including fraudulent real estate appraisals as evidenced by Mr. Welsh’s testimony. This historic testimony by the tribe’s representatives, and their internal investigations, revealed the extensive mismanagement of the BIA and the lack of trust responsibilities that led to significant trust management changes and historic legal settlements for the Sac and Fox Nation and its tribal members. Saginaw Grant (born 1936), actor known for his roles in Breaking Bad and The Lone Ranger. Jim Thorpe (1888–1953), athlete who won gold medals in the decathlon and pentathlon at the 1912 Stockholm Olympics. ^ a b c d 2011 Oklahoma Indian Nations Pocket Pictorial Directory. Archived April 24, 2012, at the Wayback Machine Oklahoma Indian Affairs Commission. 2011: 31. Retrieved January 29, 2012. ^ “Bare Nation: Student Sculptors from IAIA.” . Retrieved June 15, 2013. ^ Deloria Jr., Vine J; DeMaille, Raymond J (1999). Documents of American Indian Diplomacy Treaties, Agreements, and Conventions, 1775-1979. University of Oklahoma Press. pp. 323–326. ISBN 978-0-8061-3118-4. ^ Breslauer, Jan (February 20, 1996). “The Spirit Moves Him in New and Traditional Ways”. Los Angeles Times. ^ Biography. 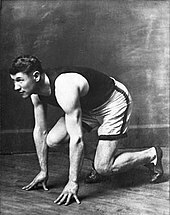 Archived July 3, 2009, at the Wayback Machine Jim Thorpe: World’s Greatest Athlete. Retrieved June 27, 2009. ^ Hearings (May 16, 1989). “Federal Government’s relationship with the American Indians”. U.S. Government Printing Office. U.S. Senate. ^ Hearings (May 16, 1989). “Federal Government’s relationship with American Indians” (Part 9): 31–54.